There’s a science behind ‘shaken, not stirred.’ A reason why you shake a cream or an egg white, but you stir in the absence of citrus. But getting people to actually drink your cocktail? That’s an art. Andra ‘AJ’ Johnson is in the business of both. 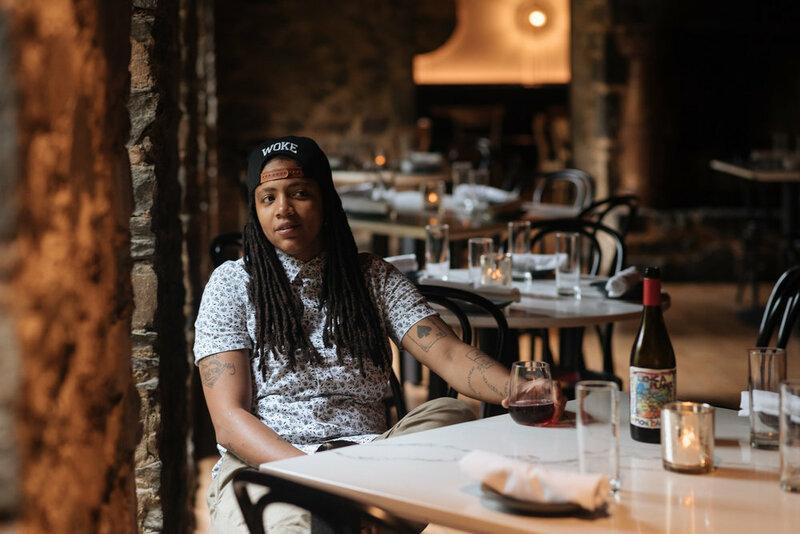 As beverage director and sommelier for Dyllan’s Raw Bar Grill—the new canal-side restaurant in the former Sea Catch space—AJ is focused on putting her unique spin on cocktails while remaining true to the concept of the space. One such drink is Holler if You Hear Me. 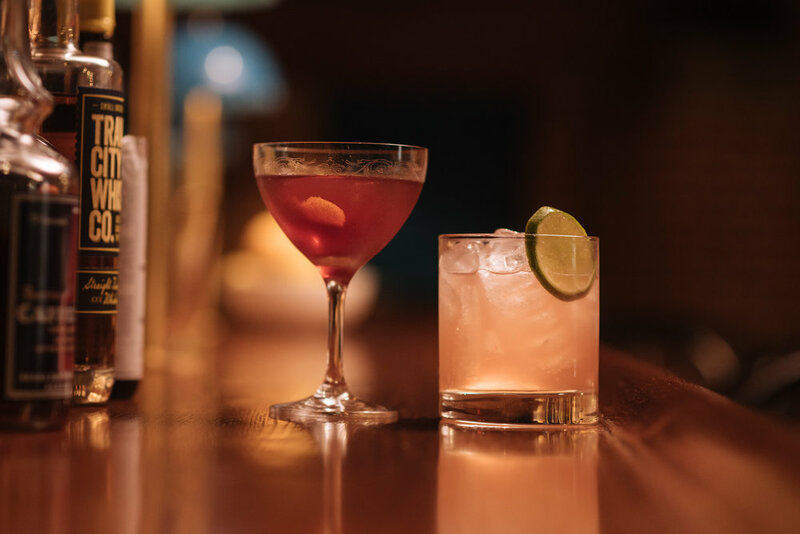 Made with locally distilled rye whiskey, Spanish brandy, and red Quinquinam, the cocktail is an ode to Herman Hollerith, whose Tabulating Machine company was located in the Dyllan’s space to tabulate the 1890 Census. Later, it became part of I.B.M. As part of her transition from casual to fine dining, AJ spent three years consistently educating herself—heading to a bar at the end of every shift and trying new drinks, regardless of the price. Since then, AJ has been steadily working to improve DC’s beverage industry. The Bronx native spent eight years in L.A., but her roots are here—and so is the scene. She says DC now stands shoulder-to-shoulder with just about any city when it comes to its cocktails, and customers are increasingly interested in expanding their understanding of the art form. Bartenders, in turn, are encouraged to be more experimental. Take the reverse martini, for example. AJ says the inverted proportions of vodka and vermouth change your entire understanding of the classic. So, too, are the possibilities in Georgetown. AJ says many residents have their watering hole back, and she’s seen a lot of new faces, too. She hopes Dyllan’s will spearhead the revitalization of Georgetown’s late-night dining and bar scene, offering everything from a $20 to a $200 experience well past 10 p.m. Emphasis on experience. 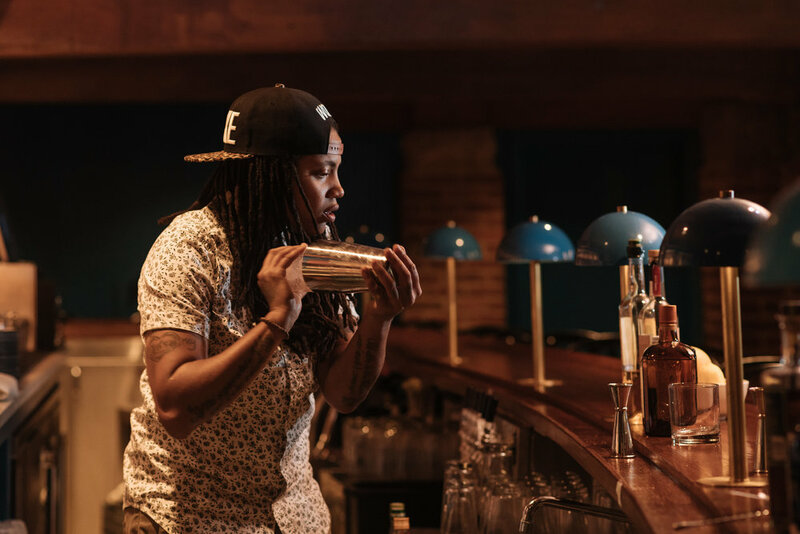 Although AJ is happy with DC’s beverage scene, she says she’d like to see the industry become more inclusive, with more access to training and knowledge. 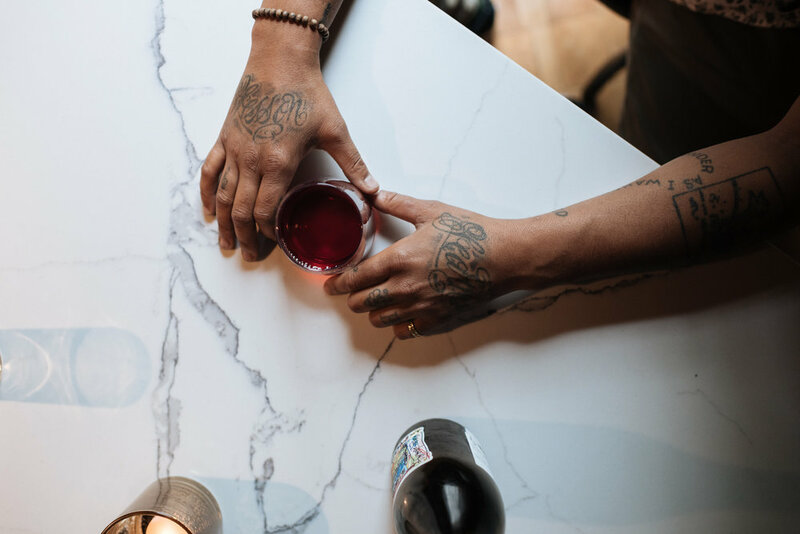 AJ recently wrote a book called White Plates, Black Faces, about black ownership in DC’s restaurant industry and the lack of equal representation in food and beverage guides. Her webseries roundtables run parallel to the topics in the book, illuminating stories from others in the industry who share a similar lens.